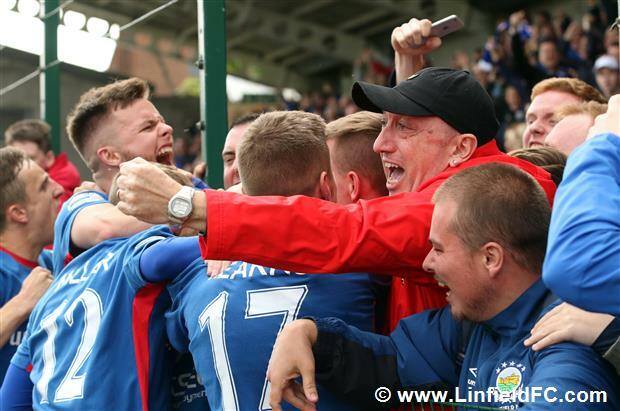 Linfield were on the road on Matchday 4 hoping to make it four wins from their opening four league outings with a trip to Solitude to take on Barry Gray’s Cliftonville in the second of a North Belfast double header, after last week’s fine win over Crusaders. 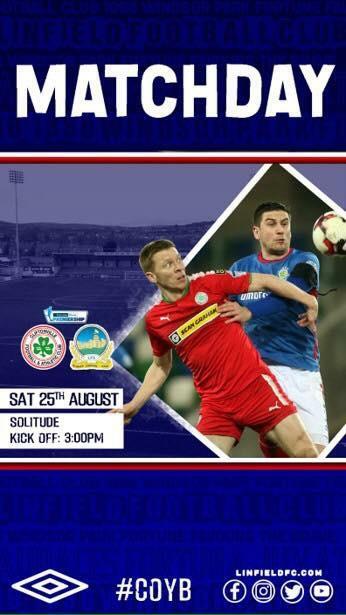 The players who started the 2-0 win at Seaview were rewarded as David Healy named an unchanged team. The match itself had a fiery start with an altercation taking place between both sets of players after Daniel Kearns had gone down under Ryan Catney’s challenge. The result was a couple of bookings for each team. 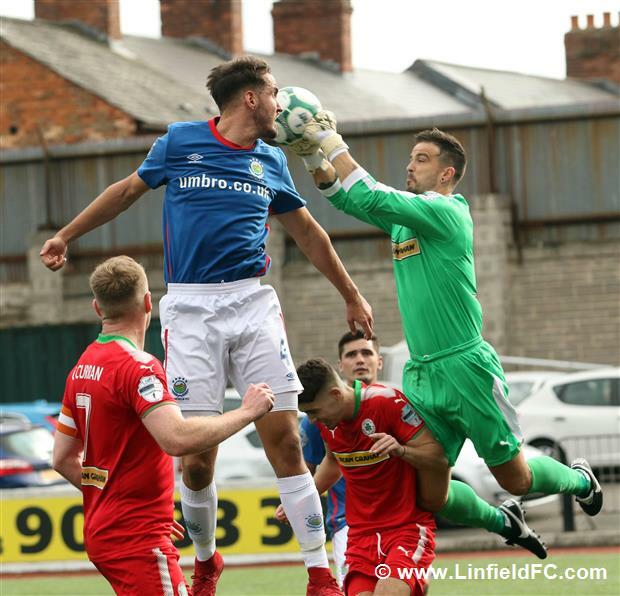 Linfield’s first chance fell to Andy Waterworth when Chris Casement squared the ball across following an inventive free-kick routine but the striker fired wide, impacted by having to stretch for the ball to get his shot away. 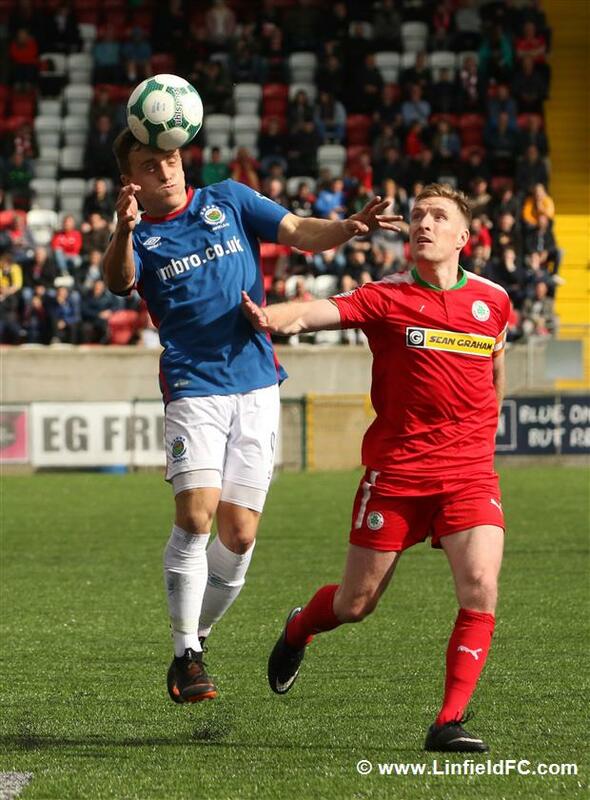 A heroic block from Cliftonville defender Jamie Harney then denied what looked like a certain goal for the Blues, with Daniel Kearns storming into the box before letting rip, only for Harney to throw himself in the way. 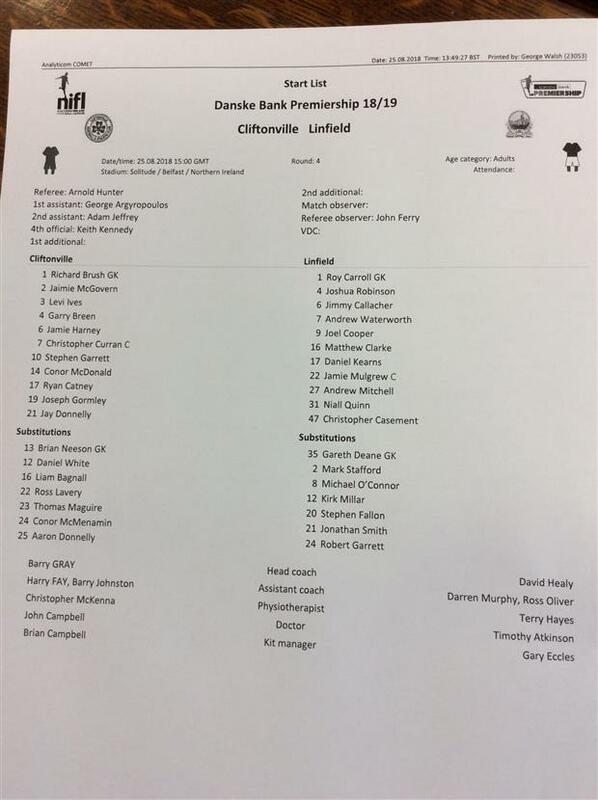 On 26 minutes, the game took a dramatic twist when Linfield were reduced to ten men. 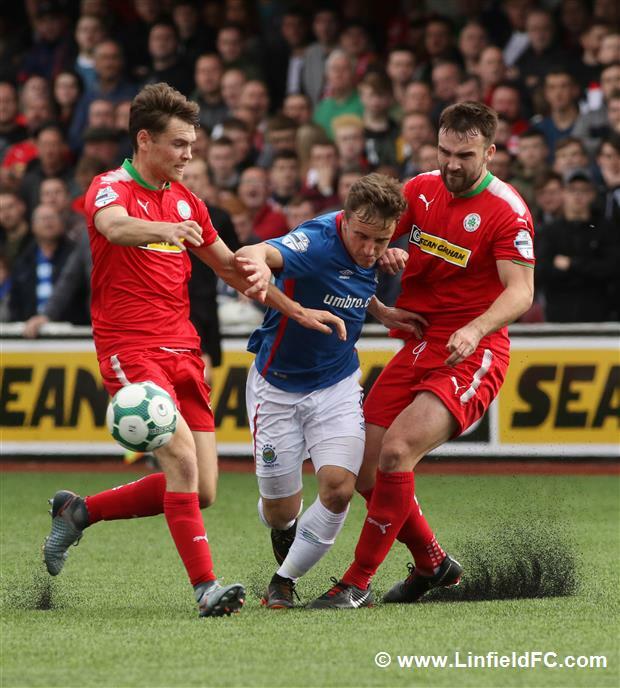 A loose ball was up for contesting on the edge of the box and Blues skipper Jamie Mulgrew came in, won the ball and then, to his disbelief, was sent marching for catching Jay Donnelly on the follow through. Joe Gormley was next to go into the book for catching Roy Carroll around the face, leaving the experienced goalkeeper needing treatment. Josh Robinson went close twice in the closing stages of the first half, firstly heading Andrew Mitchell’s free-kick on goal, before heading just wide of the upright from Daniel Kearns’ corner. 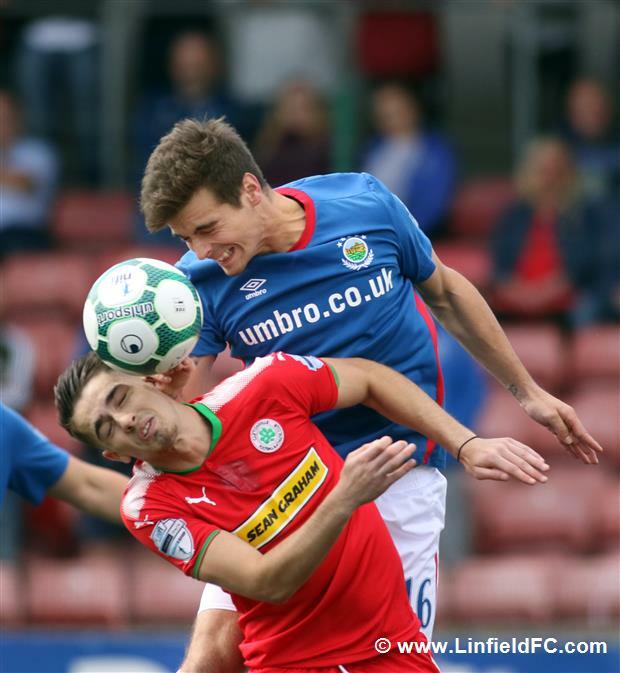 Cliftonville aimed to take advantage on their man advantage and made a bright start to the second half. Jay Donnelly will probably feel disappointed to have headed over from a Stephen Garrett corner on 47 minutes. 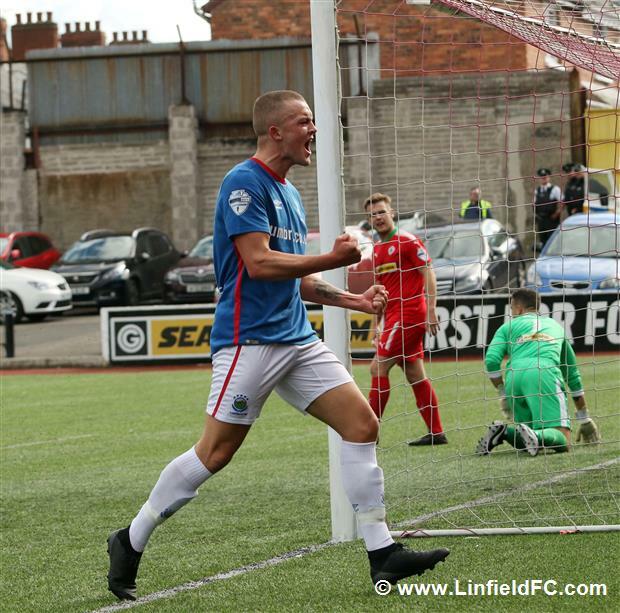 Jimmy Callacher twice produced some of the finest defending you’ll see this season within minutes, firstly throwing himself in the way of McDonald’s shot, before saving Linfield again by blocking Garry Breen’s shot which was destined for the net. 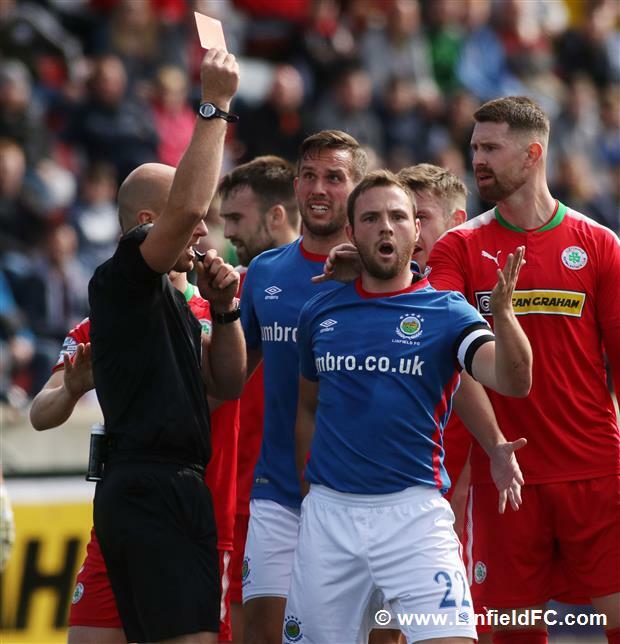 The Reds took a 71st minute lead when Jay Donnelly hung a cross up to the back post for Joe Gormley, who leapt high to head past Roy Carroll, the first time Linfield have been breached this season. 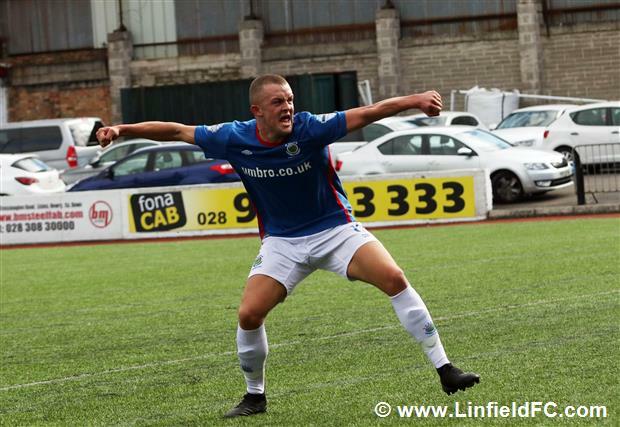 Linfield showed great character to hit back late on when Andrew Mitchell produced a pinpoint, top-quality cross into the middle for ‘super sub’ Michael O’Connor to convert with a deft touch, a touch of real class, a magnificent finish. 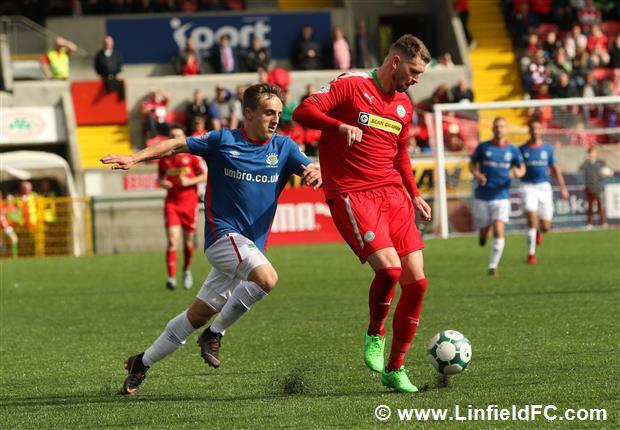 Josh Robinson impressed once again but had to be withdrawn late on due to injury and given how well he’s started the season, manager David Healy will be touching wood that it’s nothing serious. 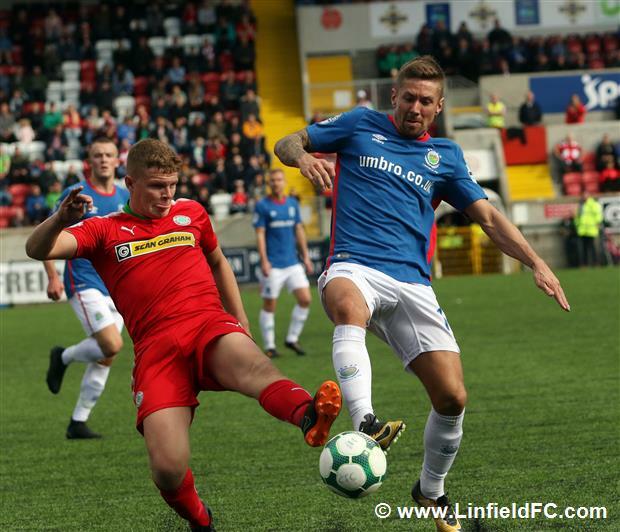 The Blues very nearly struck a dramatic winner in the 90th minute when Daniel Kearns showed silky skill in the middle before sending Cooper down the left in space, but his low strike was well kept out by Reds ‘keeper Richard Brush.